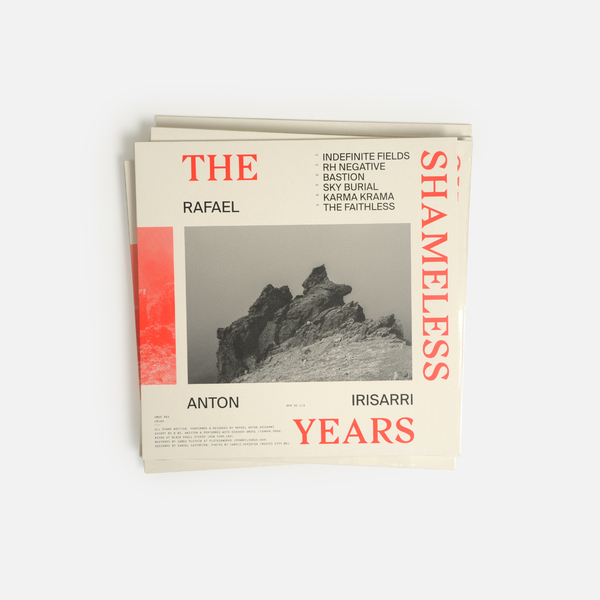 Rafael Anton Irisarri unveils his latest sublime panoramas, presenting his first major solo work since 'A Fragile Geography' for Room 40. If you’re into GAS, Tim Hecker, Lawrence English or Bohren & Der Club Of Gore - this one comes highly recommended. 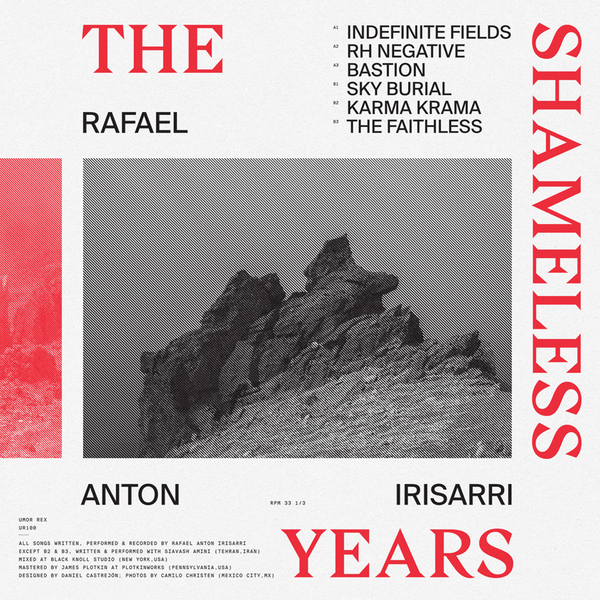 Mantled in reference to the socio-political upheaval it was borne in, The Shameless Years was written in a flurry of creativity at the end of 2016 when Irisarri booted up some old software in addition to his trusted palette of guitar, pedals, amps and analogue processing at his Black Knoll Studio. 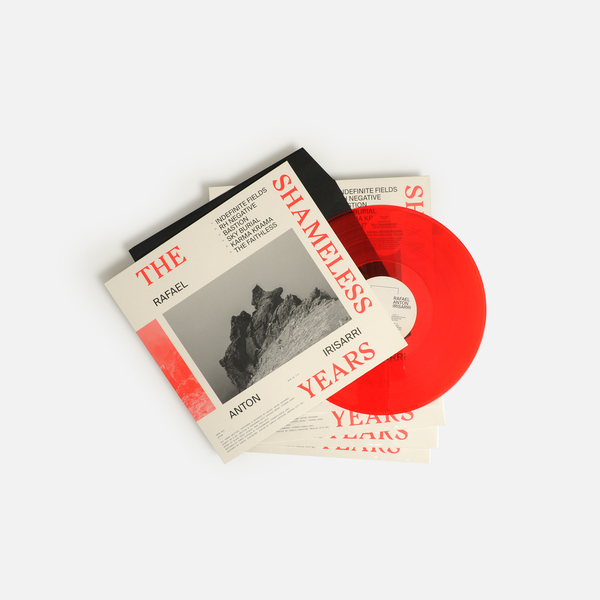 There, he rediscovered a mean sense of purpose that lends these recordings a thematic cohesion producing his strongest work in ten years of releasing material under his own name as well as The Sight Below, Orcas, and collabs with Slowdive’s Simon Scott, among others. 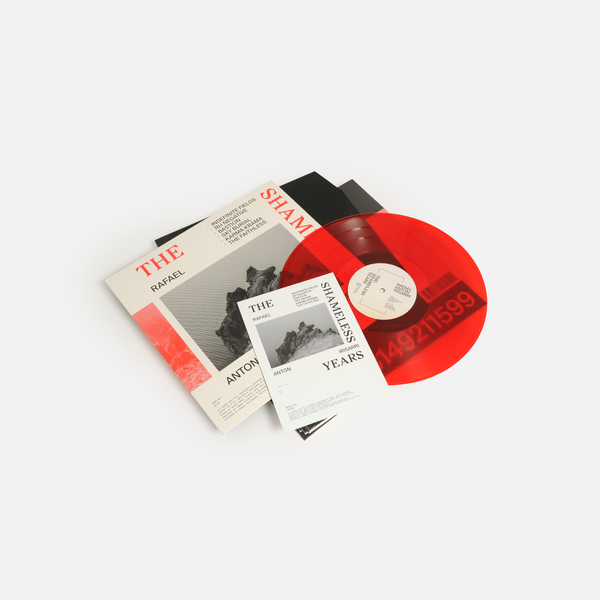 In typically gauzy vision, the album starts off from an elevated perspective with stately melodies masked by impenetrable fields of noise harmonics on Indefinite Fields - perhaps a poignant metaphor for hope thwarted by terror and confusion. It passes on into the glum marching rhythm buried beneath RH Negative’s banking walls of shoegaze distortion and the expansive lost-at-sea feel of Bastion, sustaining and building a symphonic melodic defiance against the swell, before sublimating himself to the lushness of Sky Burial, which on one hand is a deeply serious mediation on his own mortality, and on the other somehow sounds uncannily close to a shoegaze version of Careless Whisper. Such is life. 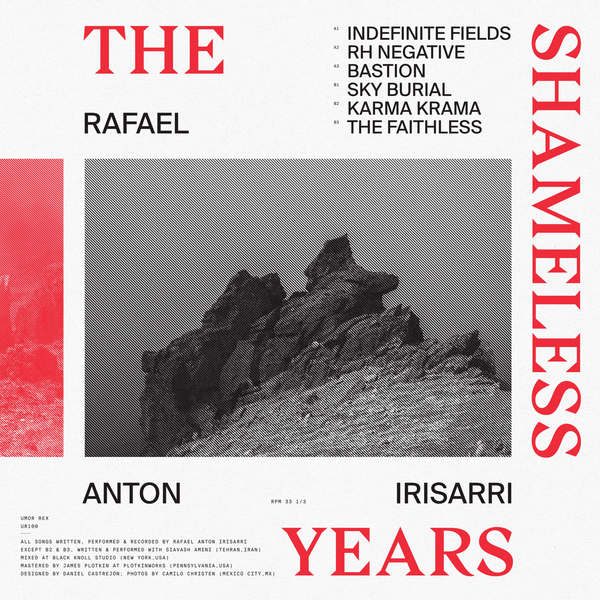 To perfectly compound and heighten the impact, Irisarri shares the weight of emotion with Tehran-based composer Siavash Amini in the LP’s final, and arguably most affective, two parts. In a subversive gesture to the travel ban on Iranians imposed by La Naranja, which is only made sweeter thru its release by a Mexican label, the pair worked remotely to realise a fitting diptych with the tempestuous glower of pealing harmonics and apocalyptic low end rumbles in Karma Krama, then tempering and moderating that rage in a palindromic passage from doom jazz to majestic harmonic clusters and back in The Faithless with a crushing sense of controlled rage that reminds us of Bohren & Der Club Of Gore at their most subdued and devastating. 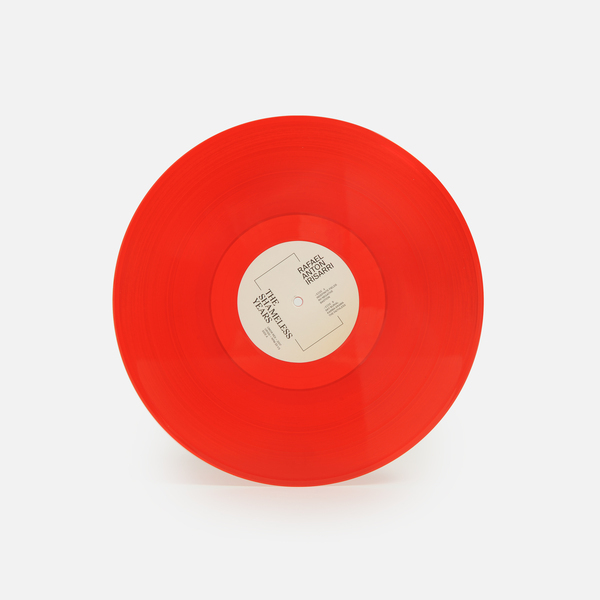 Back in stock - Limited edition red vinyl LP, includes a postcard with original artwork. Edition of 700 copies - instant download included.